Love the setup. 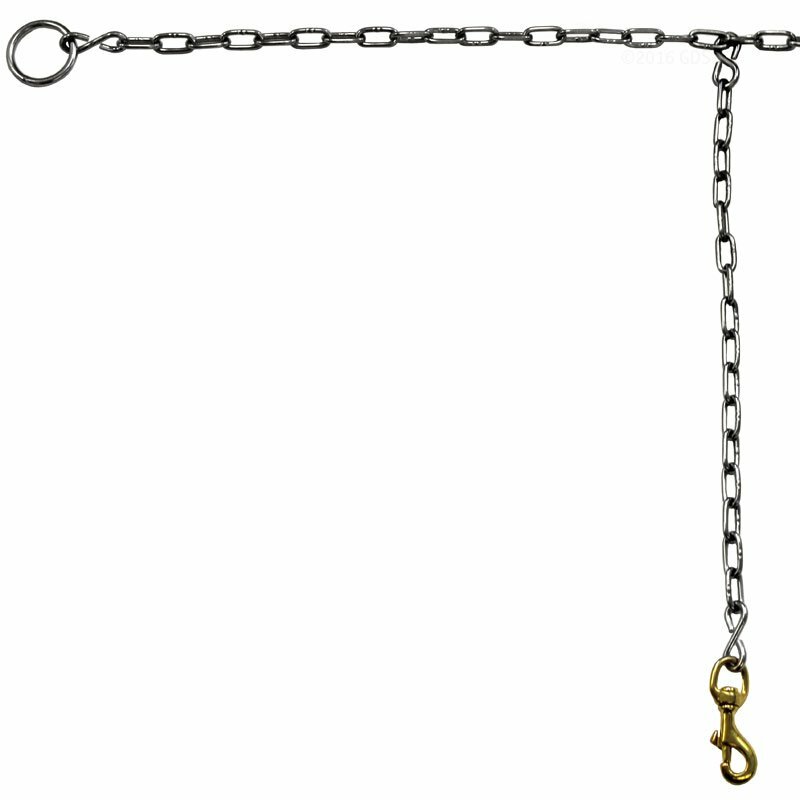 I did extend the individuals chain by a foot for each. 100% USA stainless steel with solid brass snaps! 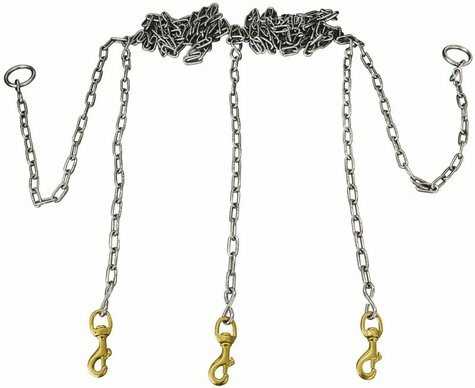 These chain gangs are 100% stainless steel, and also have solid brass snaps. 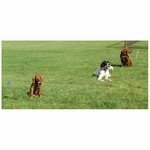 Not only do they look appealing, they are also durable and will last a lifetime. 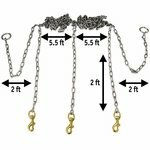 These are warranted for the life of the chain by the manufacturer. 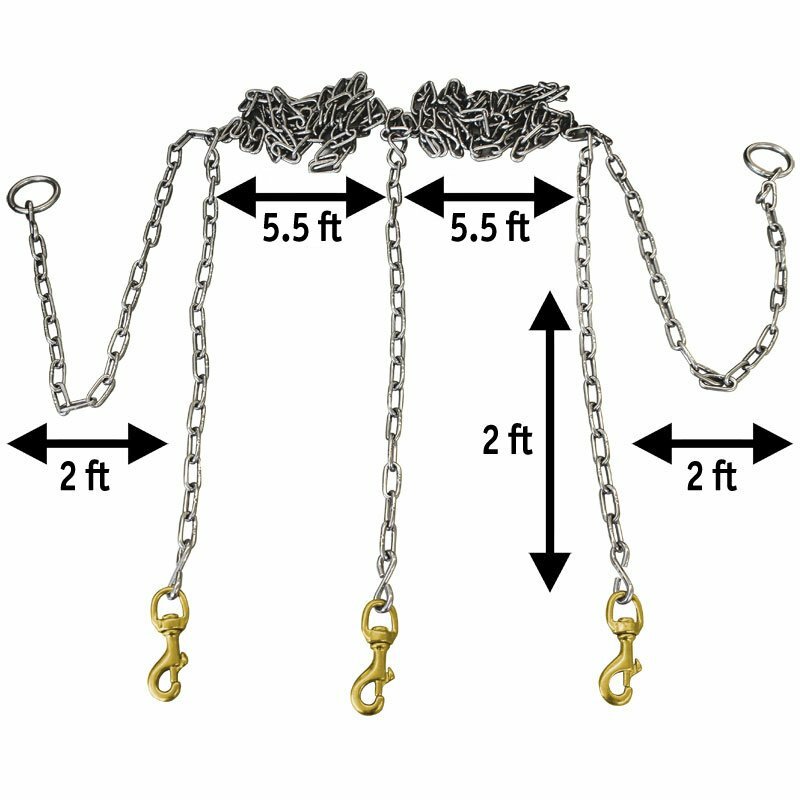 These chain gangs are constructed of high quality tangle proof chain, so they are easy to set up, easy to pick up and store away when you're finished with them. Also available as 4-dog, 5-dog, 6-dog, 7-dog and 8-dog chain gangs.